Are you ready for the first ever B-boy event here at 3022 community!? If you're ready! Come join us as we spread peace, love, unity, and having fun on our first b-boy event. Pre - reg will be 100php and walk in will be 150php. The winners on Bboy Battle and Open Style battle will receive Cash+Certificate+Limited Shirt of Bul'lBreak. So what are you waiting for? register now! 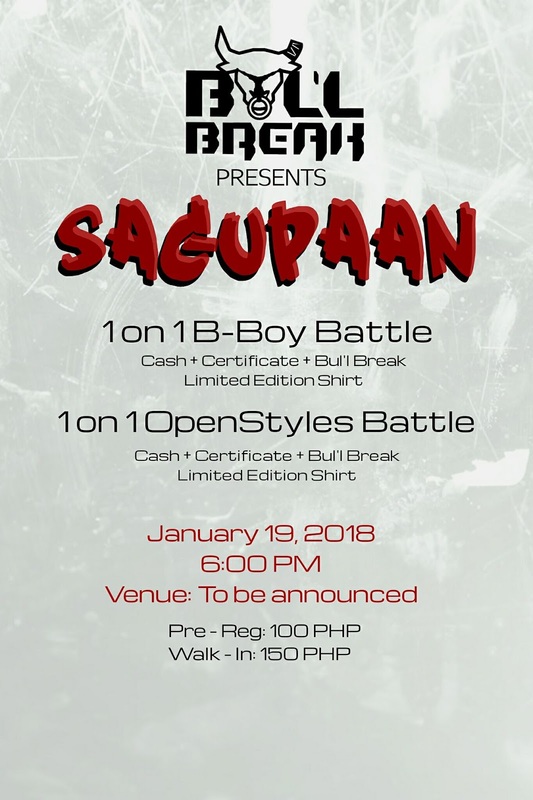 join and support the first ever event of our Bboy fam here in 3022 Community. Lets all spread Peace, love, unity, and having fun!